These remarkable J.W. Anderson designs come to the fashion fore on behalf of the Ireland native. 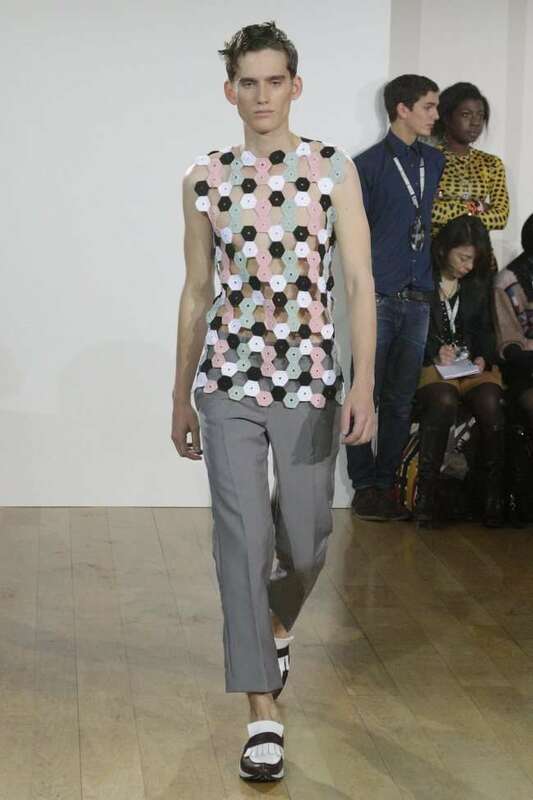 Anderson initially took up his interest in male and female style niches at the London College of Fashion from which he graduated in 2005. Anderson first launched his collections in 2008 with a menswear-only line. He later expanded into the realm of female apparel, creating a distinctive balance between the two. Shiny patent suiting and mood message jewelry have run central to this balance, arguably offering something of interest to all of his clients. Apparent in his releases is his blatant focus upon androgyny as he explicitly aims to blur the lines between what is deemed "appropriate" for each gender.